From 13 May 2015 to 09 July 2015. Tuesday to friday 15 pm – 18 pm. We are delighted to be presenting an exhibition of MEUNS by Simon Hantaï, a vitally important series in his career and the history of art of his time, which makes him the direct heir of Henri Matisse after competing with the greatest painters of American abstraction such as Jackson Pollock. These paintings, the Meuns, all made between 1967 and 1968 after a year of reflection or absence, as it were; a year spent not painting but rather devoted to moving to a new house in the countryside; a year which undoubtedly allowed the artist to gather together conceptually his discoveries in the realm of folding (pliage) and colour and, arising from this reflection, to enter a huge scheme which would from then on place white, in other words, emptiness or the reserve, the “unpainted” as a language and principal driver of his painting. In 2013 it was possible to see at the Musée National d’Art Moderne Centre George Pompidou a retrospective that revealed each stage of Simon Hantaï’s art and the absolute nature of his artistic quest. Starting with a Surrealist period, each new series was a new blueprint from the discoveries of the previous phase. 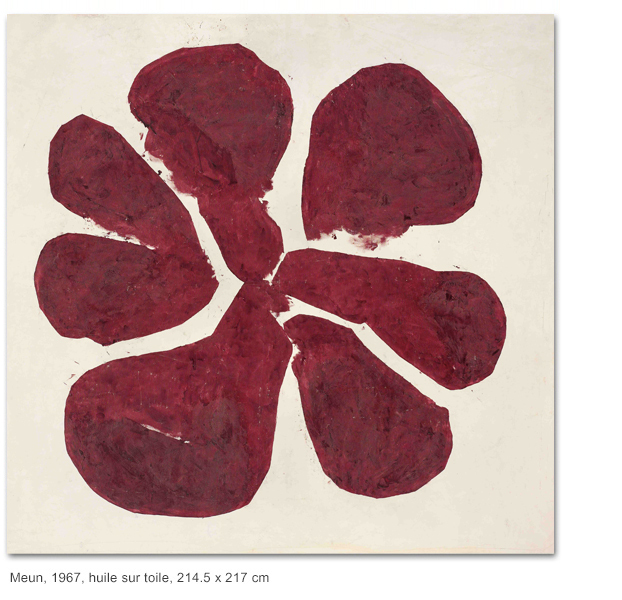 He thus crossed a gestural period, then invented a form of abstract painting with small touches of painting that perished in the creation of two masterpieces: Peinture (or the grande écriture rose [large pink writing]) and A Galla Placidia both created at the same time over the period of a year (1958-59). Colours and light then exploded with the Mariales paintings and the invention of the pliage [folding] which was followed by the series of Catamurons and Panses. 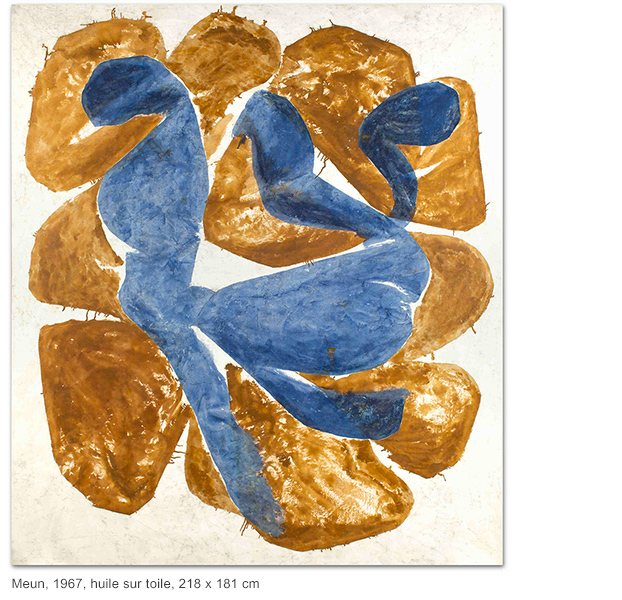 Then came the Meuns which invert the relationship with colour, now establishing white or absence as the primary sign of Simon Hantaï’s painting. The Etudes, then the Blancs and finally the Tabulas followed.